Workers Mourning Day is always observed on April 28. Workers Mourning Day is the official Day of Mourning recognized by Parliament in 1991 in memory of workers killed or injured in the workplace. Each year on this day, the Canadian Labour Congress holds a Memorial ceremony in Ottawa in observance of the workers killed or hurt at work. 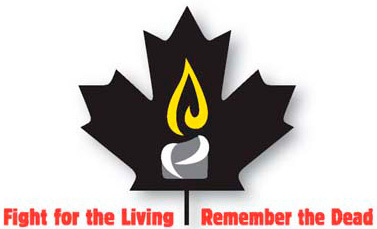 Although not a legal holiday, April 28 is recognized by the labour movement across Canada as the day to mourn victims of workplace accidents and for the renewal of the pledge to making the workplace safer.